LCF Financial Services has aided countless doctors to start-up a new office, or to buy an existing office. We find there are far too many medical professionals who do not have enough information about the process, cost, or even where to get started. At LCF Financial, we have found the most important asset a new business owner in the medical field must have when making the decision to take on a new business venture, is what to expect throughout the entire funding BEFORE you get started. Prior to making any decision regarding your future, you must be able to anticipate the pros and cons. The goal of this section, then, is to familiarize you, the new business owner, with the processes of starting-up a new office and purchasing an existing office. First, you will need to secure financing. The most important aspect of your entire project is method of payment. Your landlord may need to see you are going to be approved for financing before you can sign the lease. You could lose the space to someone who already has financing secured, while you are applying. Your contractor may need to see an approval letter from a vendor prior to estimating and signing a contract with you. Your equipment vendor may make a similar request. Each level of the project could be delayed without your financing secured. If you are intending to pay for some of your start-up office out of your pocket, and finance remaining balances at a later date, always set up financing first. Landlords, contractors, and equipment vendors want to know they will be paid, and paid on time. In the second step of your start-up process, you will need to find a location. Space leases are sometimes difficult to find. When you do locate a potential spot for your office, though, don't be too quick to sign anything. You need to ask the landlord about the square footage and rent. Compare it with other offices in the area. Also, look around to be sure your competition is far enough away from you. You do not want to open a new office, with zero patient records, when an existing, established office is on the same block. Be sure to check with the Landlord about your plans. For example, your landlord needs to be aware that you will be building-out a space for a Veterinary office and, obviously, there will be animals, noise, etc. all day and all night. There may be issues with other tenants (if part of a strip mall or similar structure) and you will need to be sure they will not petition to "evict" you once the office is open. Once you find a potential space, talk to a construction company for an estimate. You may find there are some difficulties with the space lay-out that may cost you more in construction than you should need. Be sure to speak with several construction companies for estimates. Speak with friends for a referral. Once you decide on a space, think about how many examining rooms/operatories to build-out, and how many of those to equip. You may want to leave extra room for future expansion. Once you decide how much equipment you will need, make a list and begin contacting equipment vendors. You will need to speak with several in order to be sure you are obtaining the best value. You probably have an idea of which manufacturer to use, so be sure to estimate that particular brand with the vendors, if you are not purchasing directly from that manufacturer. When starting up a new office, it is not recommended to build your office building, or buy an existing building, and then do further construction to make it into a medical office. It is too costly and you are not guaranteed an immediate patient base. If you are thinking of this path, ask the owner of the existing building if you can rent for the first five to seven years (typical term of a start-up loan) with the option to buy the building at the end of that lease. Once your project begins, you will need to be insured. Make sure your contractor's insurance will cover any damages to your office during the course of your construction. The contractor will need to name your finance company as "additional insured", so make sure they are willing to do that. That should be familiar to them and therefore not a problem. Once equipment is installed, you will need to purchase "business contents insurance". While the office is under construction, you should be contacting insurance companies and setting your insurance into place. Once your equipment is installed, your lender requires proof of insurance. In addition, you will need to authorize your insurance company to list your finance company as "loss payee". Your finance company will not issue payment for equipment prior to receiving the proof of insurance and the “loss payee” endorsement. This could stall your project and prove to be stressful for all parties involved, especially you. Be sure to work on contents insurance as soon as you have the estimate from your equipment company. Your lender will be able to help you with this. You will be amazed that you have a new office in a couple of months. Once the project is finished, you will need to test all equipment and software to make sure it is in proper working order and give your finance company permission to close your account with them. You will sign closing documents and issue your advanced payment. Depending on your payment structure, you could either begin payments (after the advanced payment) the following month, or take advantage of the three-month deferment and enjoy 90 days of no payments while you learn to run a business. If you are dealing with a Practice Broker, he or she will make sure you are fully aware of all advantages and disadvantages of purchasing accounts receivable. They will also make sure you know the age of the equipment, square footage of the office, number of active patient records, fee schedule, etc. However, if you are not dealing with a broker, LCF Financial Services can help you obtain the information you will need to be sure you are purchasing a successful office. As with starting-up a new office, the first step is to be approved for the financing. With practice acquisitions, though, the process is a little different. You will need to seek a “pre-approval”. This basically states that you have good credit and should have no trouble with being approved to purchase an office should that office “cash-flow”. Once you have found an office to consider, you must send at least two (preferably three) years of tax returns, an evaluation of the practice profile, and the reason for the sale to your lender. First, be sure to know the reason the office is for sale. If the doctor is retiring, find out if he or she is "staying on" for a few months or not. You will also need to know if the office staff is aware of the sale. If they are not, that could prove to be a huge obstacle during the practice transition. It is very important that the staff "stay on" during the transition. Quite often, the office manager is the spouse of the current doctor. It is important that she is willing to remain working for as long as she is needed. If not, you could experience a small but significant patient roll off. The receptionist is also crucial. 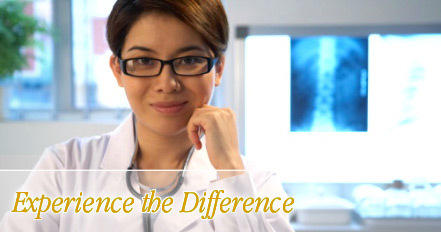 Every patient recognizes the receptionist and may not feel as comfortable with a new person behind the desk. In essence, it is good to know that your new employees are willing to stay at the office during the transition. In addition, technicians provide valuable insight on certain patients that may not be written in their profile. Each individual employee is very important during a transition of ownership. Be sure there are no bitter feelings between the staff and the selling doctor. Sentiments could carry over to a new owner as well. It is always best for the seller to be available if he or she chooses not to stay-on after selling the office. You may have difficulty with certain patients and the seller's insight could be what you will need to keep those patients. As with a practice start-up, you will need to provide your lender with evidence of business contents insurance. When acquiring an office, be sure to evaluate the replacement cost of all equipment inside the office. This is the amount of insurance you will be required to obtain. Check with the current owner to see how much contents insurance he or she currently has. It is recommended to use the same insurance company as the seller for application expediency and familiarity with the office. Should you decide to use a different company, you will have little or no problems purchasing the contents insurance, just be sure to allow enough time. Practice acquisitions close slightly differently than Start-up offices. Funds will be wired to the seller's account on the day the sale closes. In addition, any working capital you purchase during this time will need to be wired to your account. It is recommended that you purchase enough capital to do marketing, purchase supplies, and pay salaries while you are waiting for profit to begin accumulating. Working capital will reduce the stress of trying to make ends meet immediately. If this is your first office, we recommend you defer payments for up to ninety days. By doing so, you will have time to learn to run a new business, as well as plan your monthly expense report and budget. As you have probably gathered from this short article, there are a lot of considerations when starting-up an office, or purchasing an existing office. By learning more initially, you may change plans prior to committing to any one source, as opposed to making immediate decisions and regret them later. Healthcare lenders should always be familiar with the process, and therefore be able to guide you through the more difficult moments. Best wishes in your next business venture!